A PREVIEWS Exclusive! Let Harley Quinn illuminate your life as she 'safeguards' your money with this glow-in-the-dark version of her popular bank from Monogram Products. 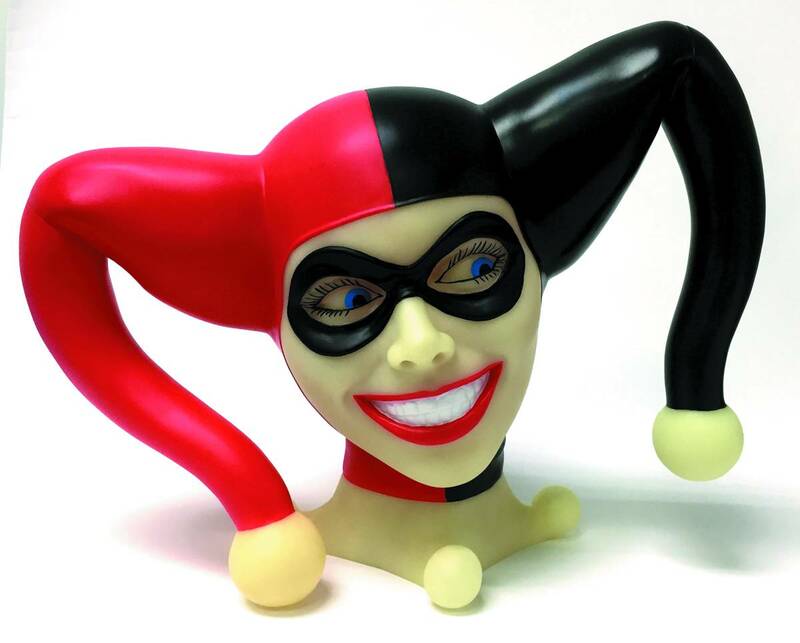 Larger than a bust bank, this bank features an impressive, life-sized sculpt of Harley's harlequin face that will look fantastic on an office shelf or in your home! The bank measures 11 1/2' tall and and impressive 14' wide from one end of her fool's headgear to the other!.